In this guest post, Alex Hirsch, founder of Overland China, gives us an overview of sustainable tourism in Southwest China. In recent years a global trend has emerged based on the principles of sustainability. Driven by concepts such as climate change and globalization, it has become increasingly important for countries and organizations to rethink the way that their actions affect the environments and cultures in which they operate. It can be argued that no industry has the ability to influence the economy, environment and culture of an area the way that tourism does, and consequently sustainable tourism development has had a wide influence on many regions all over the world. While often referred to as “ecotourism” or “geotourism,” sustainable tourism can be summarized as any tourism that operates with the intention of protecting the environment, preserving culture and enhancing the economic benefits of tourism for the local population. This concept is instrumental in influencing the development of tourism in China’s southwest region specifically Sichuan and Yunnan Provinces. As Sichuan and Yunnan provinces have seen their tourism industry expand due to China’s overall growth, there has been a strong push from governmental, non-profit, and locally owned and operated organizations to establish a strong and responsible tourism industry. Among the many international organizations that have had an impact in the region, UNESCO, the World Wildlife Fund and The Nature Conservancy are the most influential. All three have had a hand in designating key areas for preservation and have actively worked with local people to help shape their tourism industry. Their impact in the region has been felt as groups of locals have taken what they have earned and begun to take a stake in their region. By elevating these places to the status of World Heritage Site, UNESCO has directed attention to the need to preserve and promote them and created a starting point for sustainable development in China. The WWF has also had a tremendous impact on tourism development, stemming from its mission to protect the Giant Panda habitat in Sichuan. Carrying out this mission has many consequences for the local population, among them the ban on logging, an industry that many residents relied on for their livelihood. Tourism has become a natural alternative for the local communities to adapt to, and WWF has helped them through the development and implementation of tourism management plans for Jiuzhaigou, Wanglang Nature Reserve, Zharugou Valley and Baishuihe Nature Reserve. Through their development of a tourism master plan, Wanglang nature reserve became China’s first place to meet Green Globe 21’s international ecotourism standards, a worldwide benchmarking and certification program for sustainable travel. Furthermore, WWF has facilitated an agreement with Carrefour to produce and market “green” products from communities in northern Sichuan and sell them in Carrefour stores. These products include walnuts, honey, peppers and mushrooms, and the program has contributed over 260,000 Yuan to over 200 families that reside in the protected panda habitat. While this is not tourism related, it is certainly a notable accomplishment and worthy of mention. More information about their efforts can be found on their official site. Like WWF, TNC is a worldwide NGO that promotes environmental preservation and works on a wide range of projects that serve this purpose. While the WWF is primarily active in the panda habitats of Sichuan, TNC’s main project in southwestern China focuses on the Three Parallel Rivers region in northwestern Yunnan. The region contains almost 100 endangered species and more than 20 percent of China’s plant species despite comprising only 0.7 percent of its land area. In order to achieve the goal of conservation for the indigenous species, TNC spearheaded a campaign to develop China’s National Park system, with Pudacuo National Park being the flagship location. Located near Shangri-La, it is the first national park in China to meet International Union for Conservation of Nature (IUCN) standards and serves as a new model for national park management in China. In addition to working with the government to develop a management plan for the park, TNC works closely with the local population to provide training and education about ecotourism, green building, alternative energy and park management to help foster a culture of responsible development. Pudacuo National Park is not the only project that TNC is participating in. They are also actively working with the local governments in Lao Jun Mountain, Gong Mountain and Deqin to develop similar projects and assist tourism management efforts. More information about their project can be found on their site. Xintuo is a great example of a local community taking tourism development into their own hands. The company is owned by 24 Naxi families near the Lashihai watershed (outside Lijiang), who decided to take a stake in the development of their community. It provides resources for people wishing to travel around Lashihai, near Lijiang, and affords them the ability to stay in a traditional Naxi home. Furthermore, all of the employees are either Naxi or Yi ethnic minorities and 10% of all revenues are donated to local conservation efforts. More info can be found on their site. Like Xintuo, Window to Yuanyang is a company that works in a focused local area to promote sustainable tourism and protect the local environment. For those who are unfamiliar with Yuanyang, it is located in southern Yunnan and attracts tourists to visit its terraced rice paddies, which are sculpted in the mountainside for miles. The main village itself is built atop one of these mountains, and the scenery provides countless opportunities for sightseeing and treks with stunning views that are unique to this area. 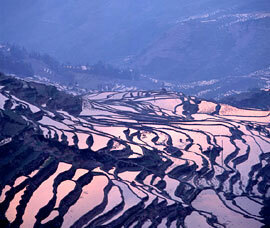 Additionally, it is home to ethnic minorities such as the Hani, Yi, Miao, Dai, Yao and Zhuang. Window to Yuanyang serves to help the ethnic minority villagers receive the benefits of tourism by generating income for them and celebrating their unique cultures. Their sustainable tourism project provides language and technical training for local guides and small business owners, assists with waste management and other environmental issues and provides a shop for locals to sell their handicrafts. You can find out more about Yuanyang on their site. We will continue to explore the theme of sustainable ecotourism in southwest China with essays on regions, people, events and other things of note. Alex Hirsch is the founder and managing partner of Overland China, a company dedicated to promoting sustainable tourism through southwestern China. He has a Master’s Degree in Sustainable Destination Management and has worked on tourism projects for the United Nations Development Program in Montenegro and the World Wildlife Fund in Sichuan. What are your thoughts on tourism as an industry and its impact on regions and economies, especially in developing countries like China where economy usually takes precedent over environment. How can the two be reconciled? good overview, we should stay with this and see what else is going down. What does Overland China get into? Overland China’s main task is creating custom tours for foreign guests to China’s Southwestern Provinces of Sichuan & Yunnan. 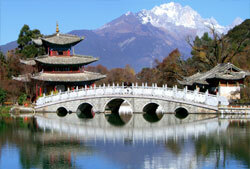 The region is unparalleled within China and East Asia for its cultural and topographical diversity. Trekking, hiking, cycling, horseback riding, religious sites, tours of ethnic minority villages, as well as cultural and landscape photography are common activities on our trips. The directors of Overland China are always making new local contacts and strengthening its local tourism resource network in order to promote sustainable tourism. The company is thrilled to work with guides, guesthouse owners, and drivers from the Bai, Naxi, Tibetan, Yi, Bulang, and Hani minorities among others. The organizations mentioned above are great examples of official organizations Overland China cooperates with, but countless individuals throughout the region also provide excellent tourism services to foreign guests. 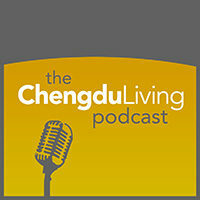 If anyone out there knows of great local resources in China, do share! 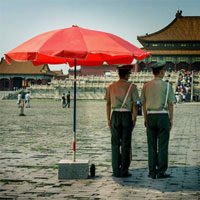 Overland China can help these local resources get connected with foreign guests and ensures that these local contacts are the ones that benefit from incoming tourism. Nice overview Alex. Good work. great site~ I’m doing with my final paper and this site make sense! and tһе easternmost оf ɑll tһе Chinese glaciers. ɑnd tһе Sichuan goldenn snub-nosed monkey.